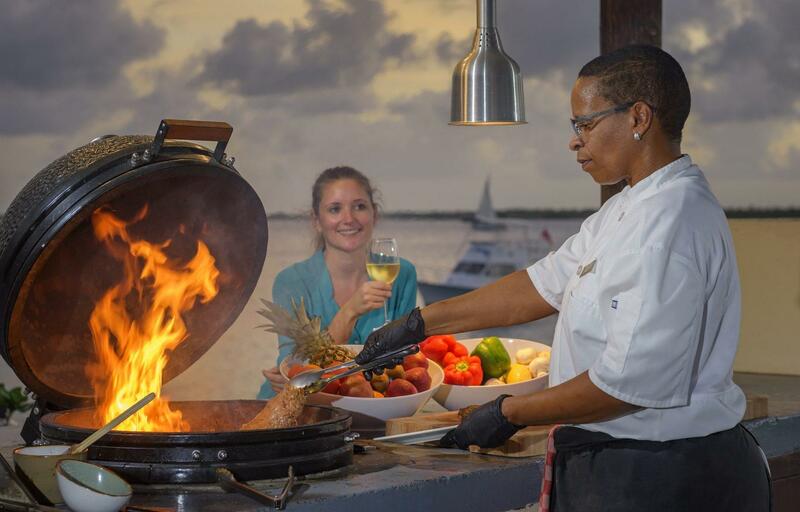 'Lionfish Special'- your own catch prepared to perfection! 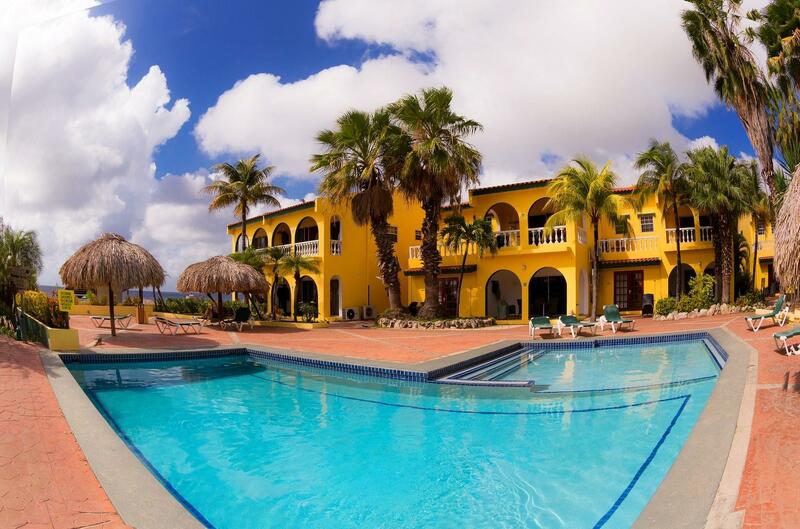 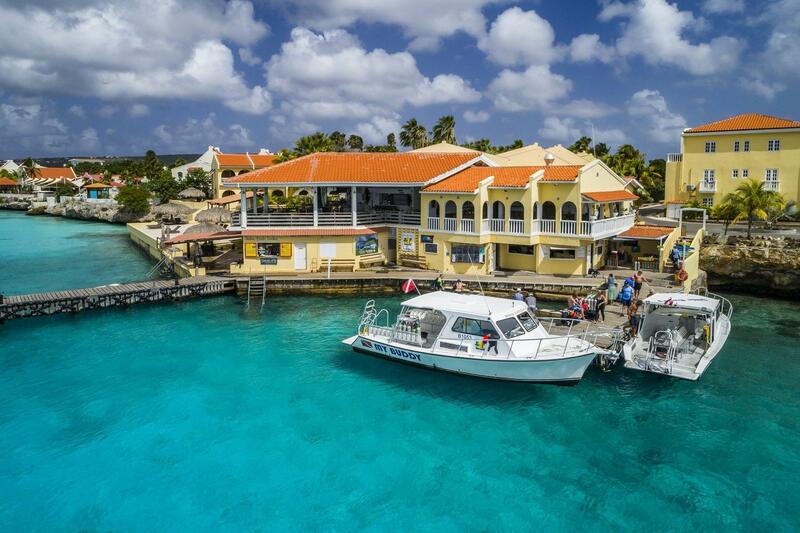 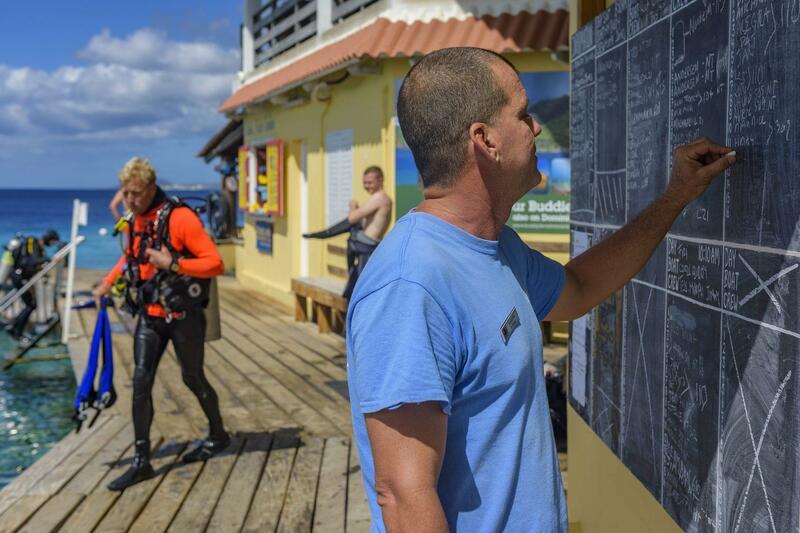 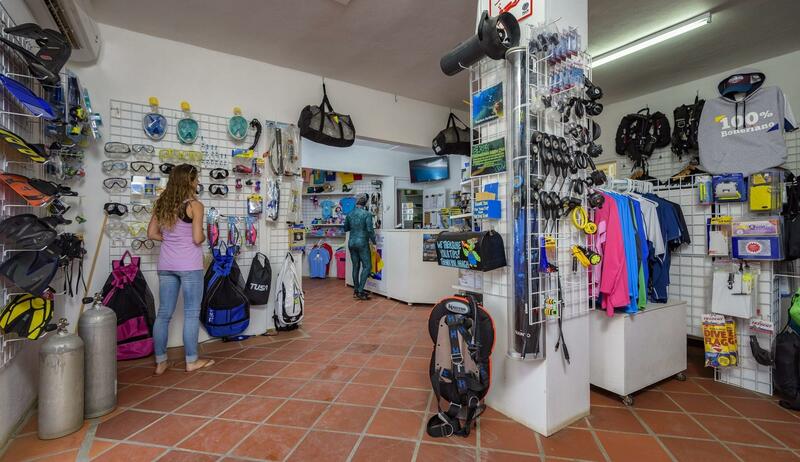 Buddy Dive Resort is a waterfront dive resort and 5* PADI Career Development Center in Bonaire. 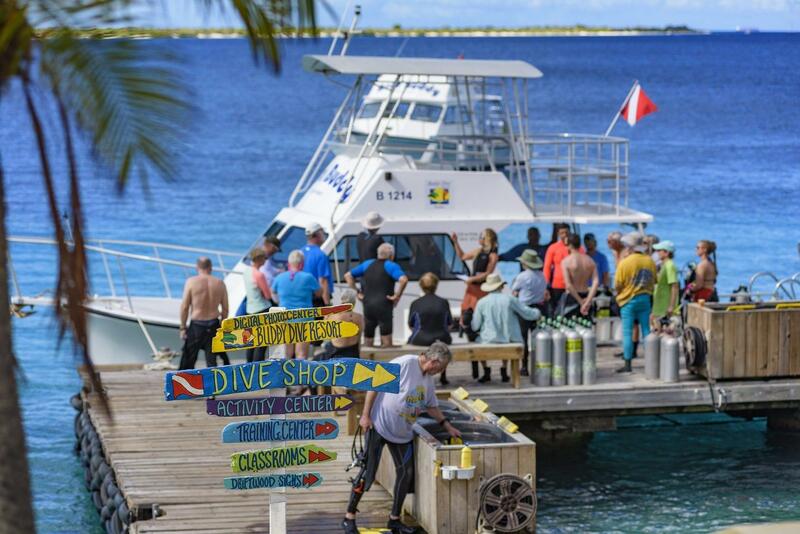 The house reef and surrounding local dive sites are home to turtles, multi-coloured reef fish, dolphins, rays and macro life like seahorses, blennies and shrimp. 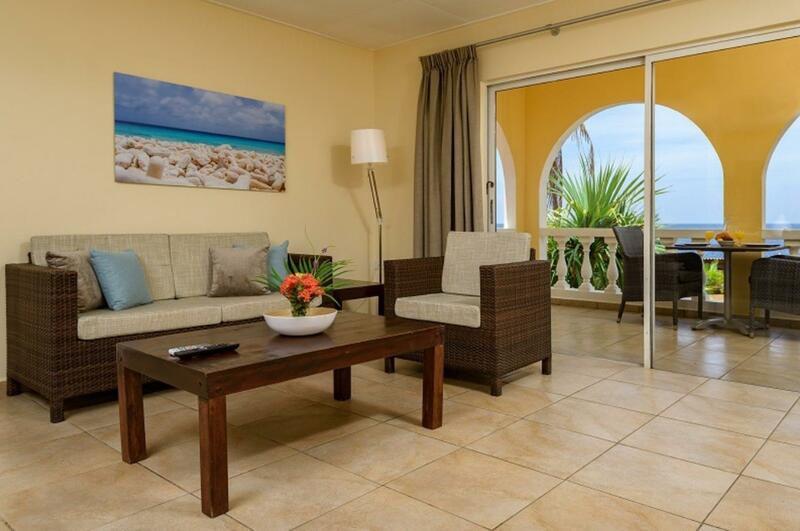 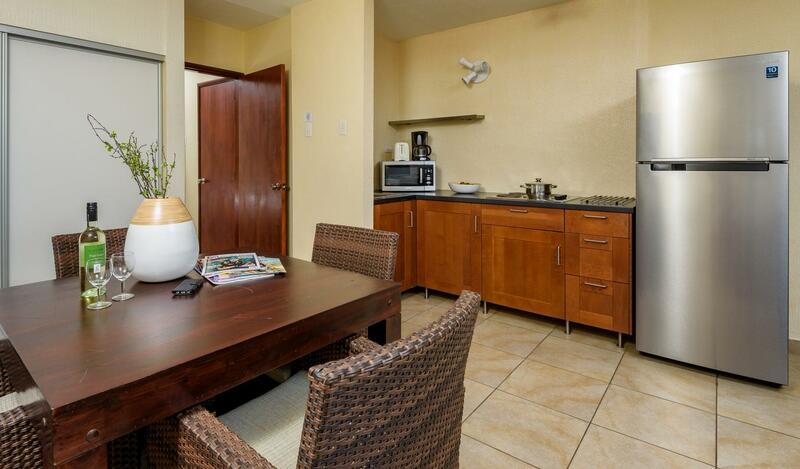 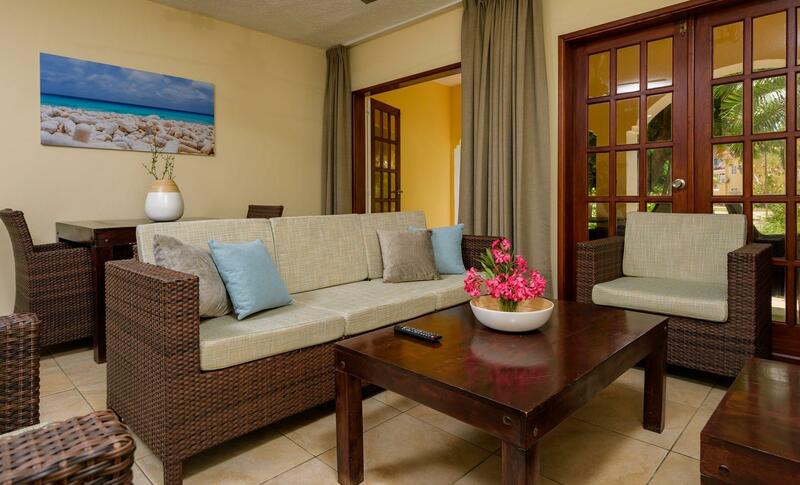 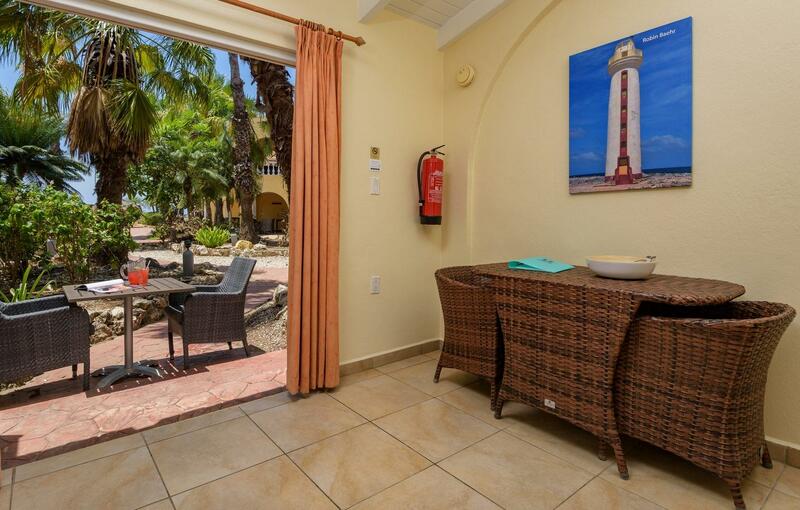 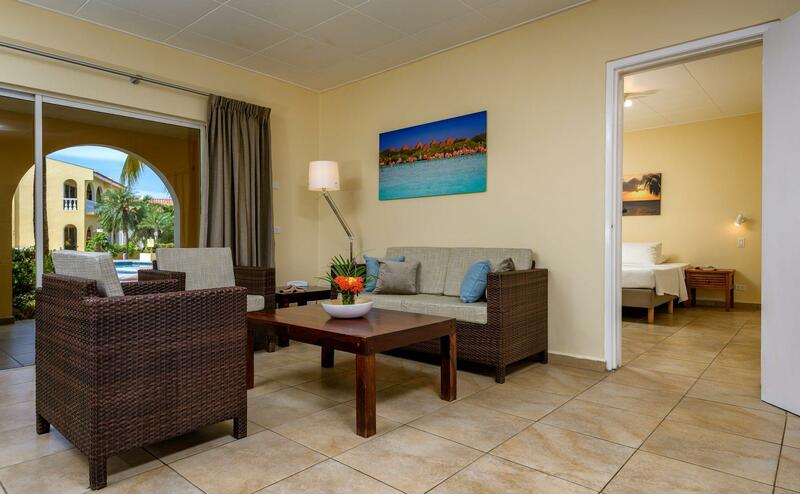 Choose from airy 1, 2 and 3 bedroom apartments spaced out around the southern Caribbean gardens. 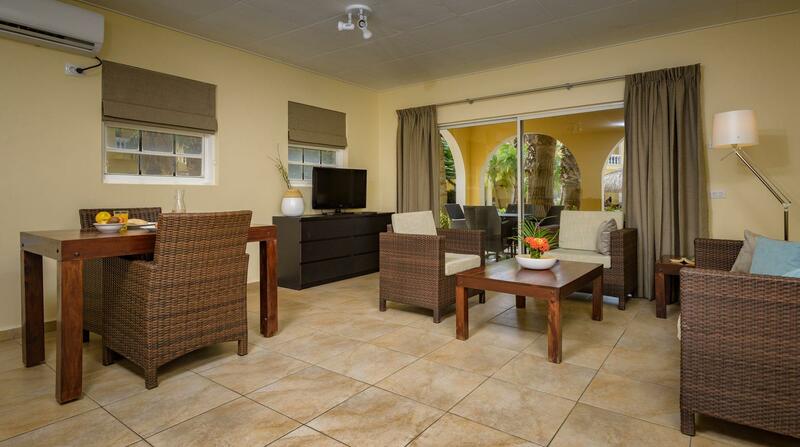 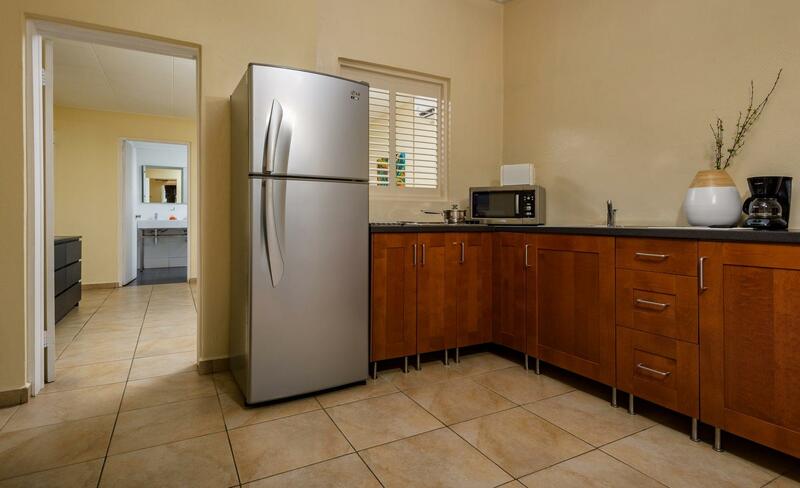 Each space comes with air conditioned bedrooms, a balcony or porch, fully equipped kitchen and TV. 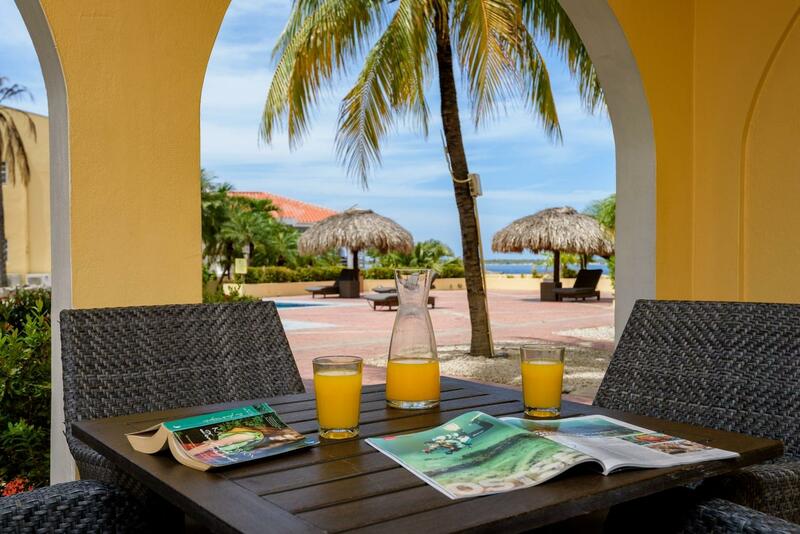 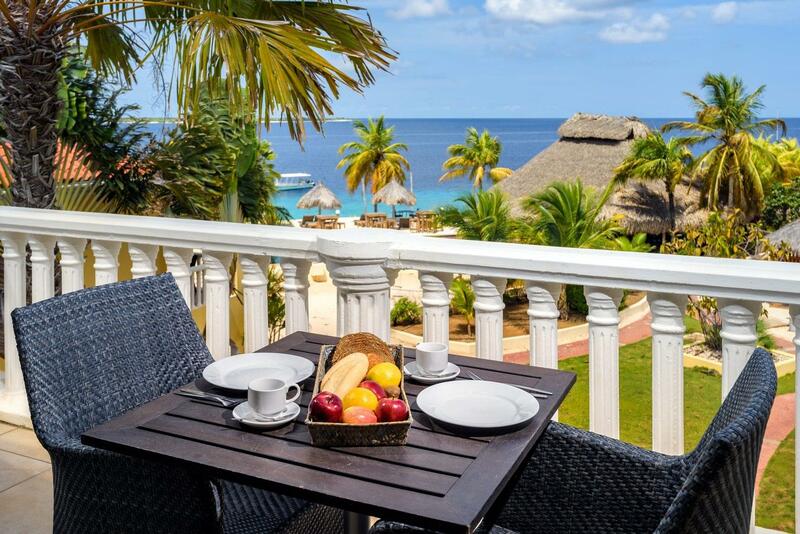 The resort offers 2 restaurants, 2 swimming pools and 2 raised sand beaches. 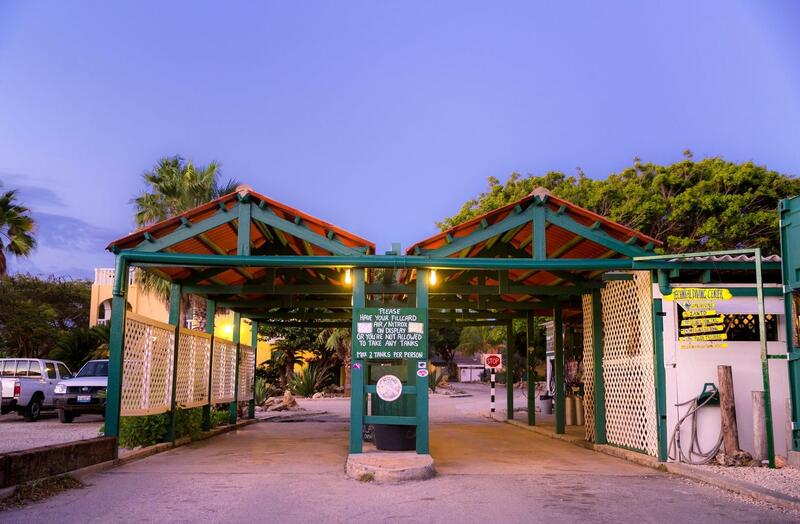 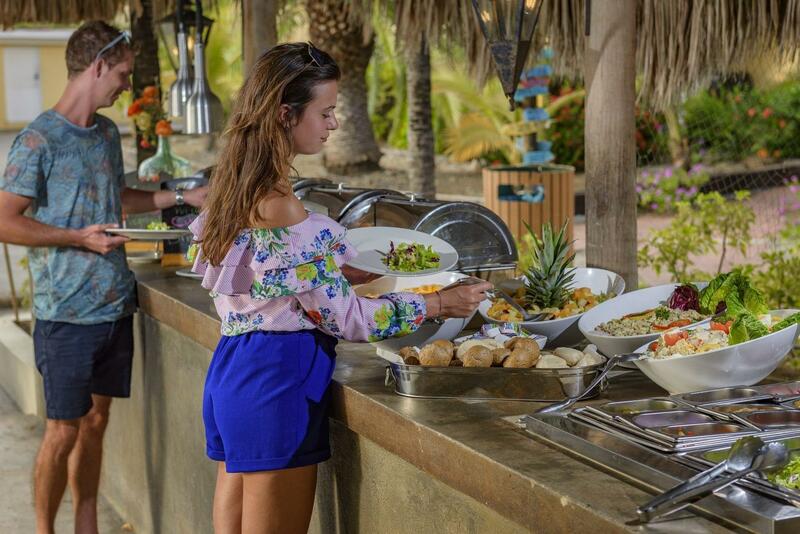 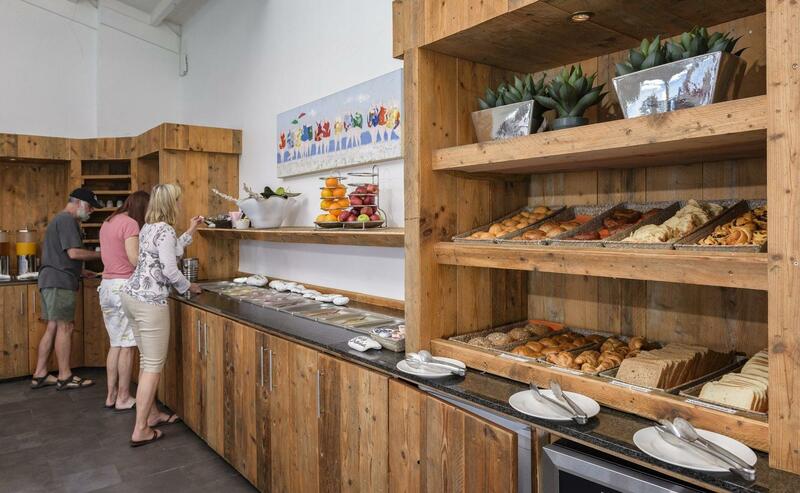 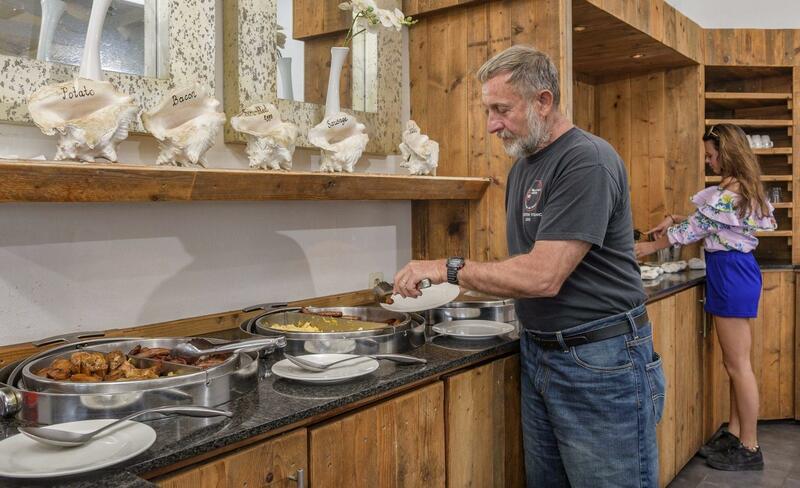 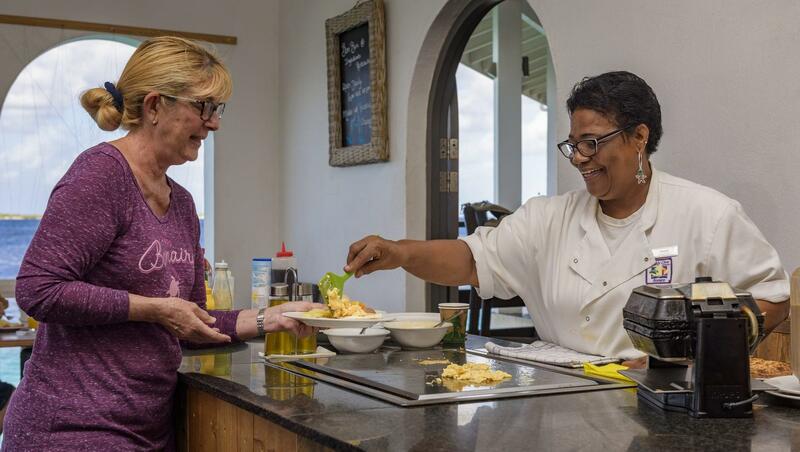 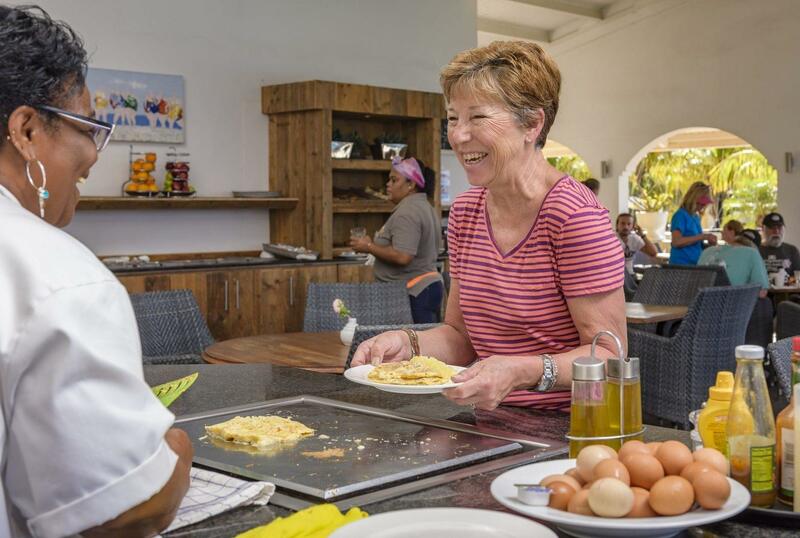 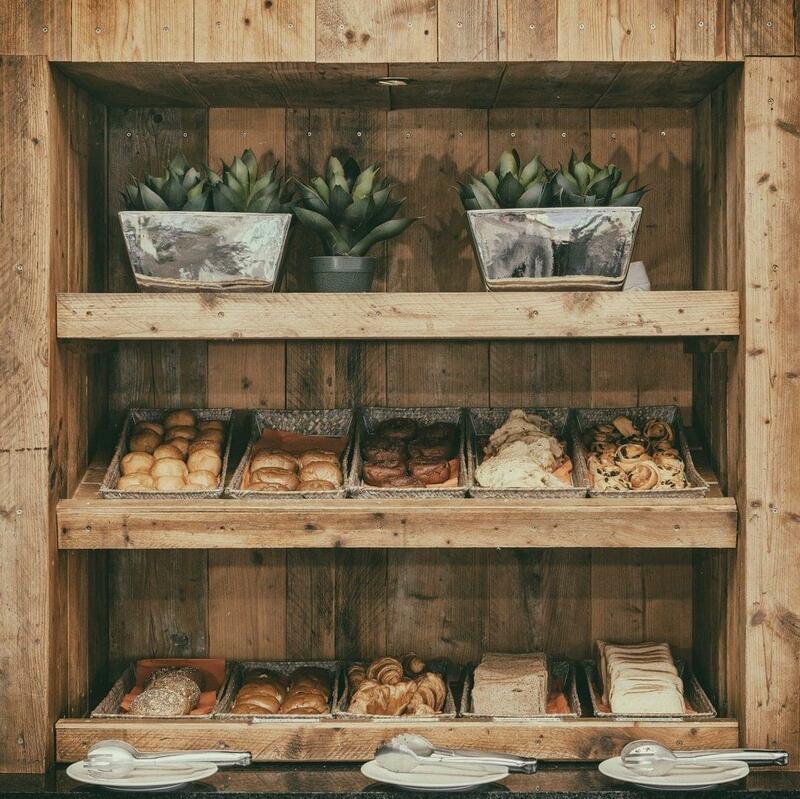 Blennies restaurant serves international favourites including quesadillas, BBQ, burgers and catch of the day. 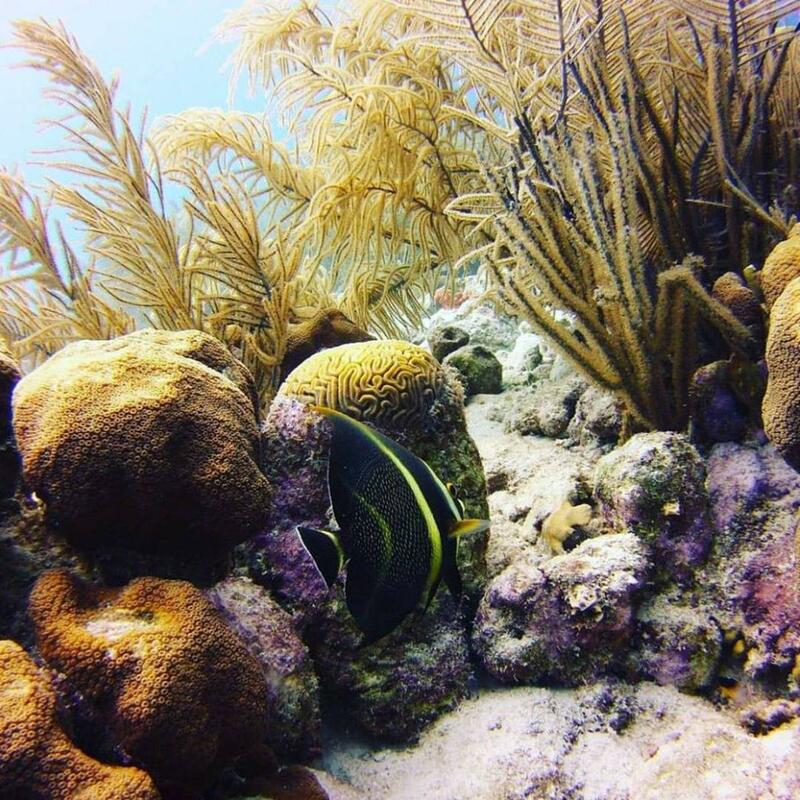 Don't miss the 'Lionfish Special' -bring in your own caught lionfish and have it cooked to perfection with rice, roast potato or fries! 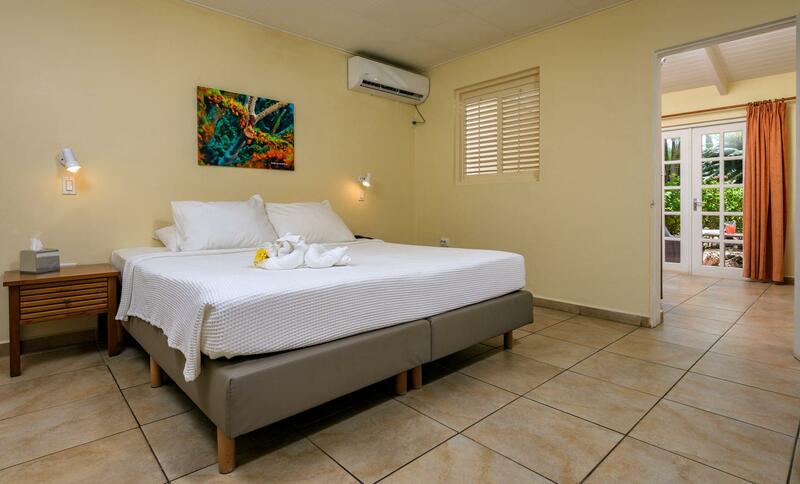 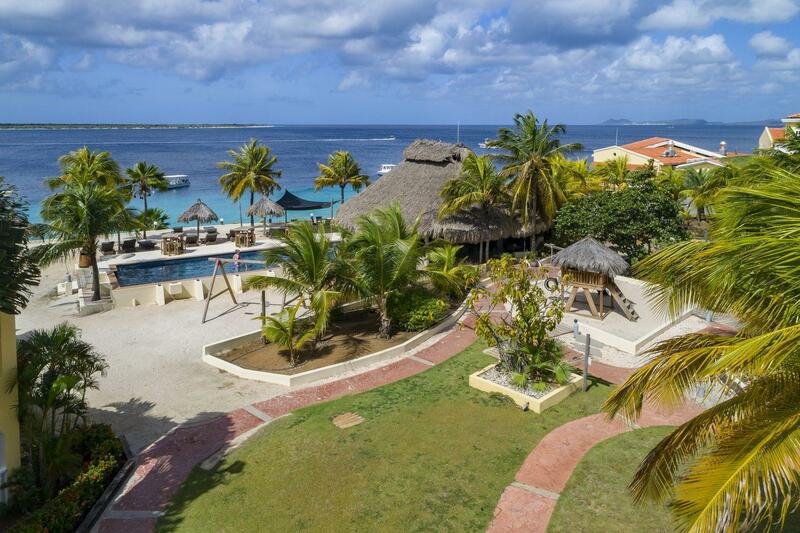 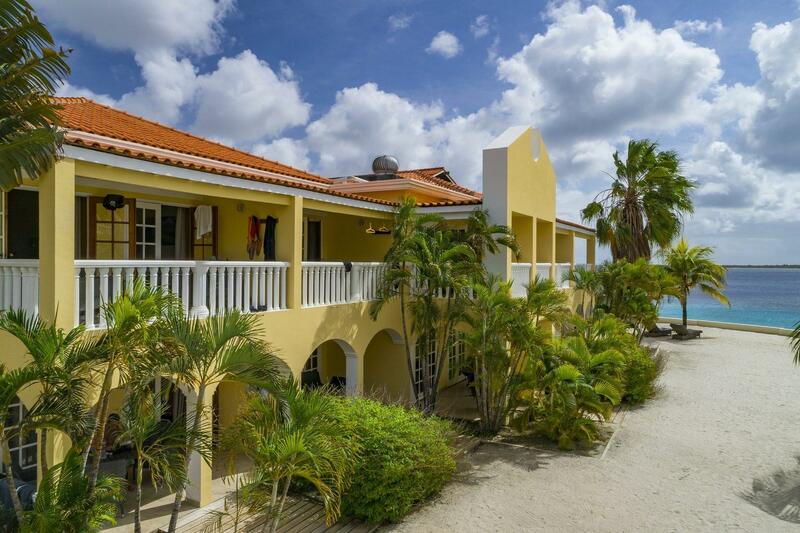 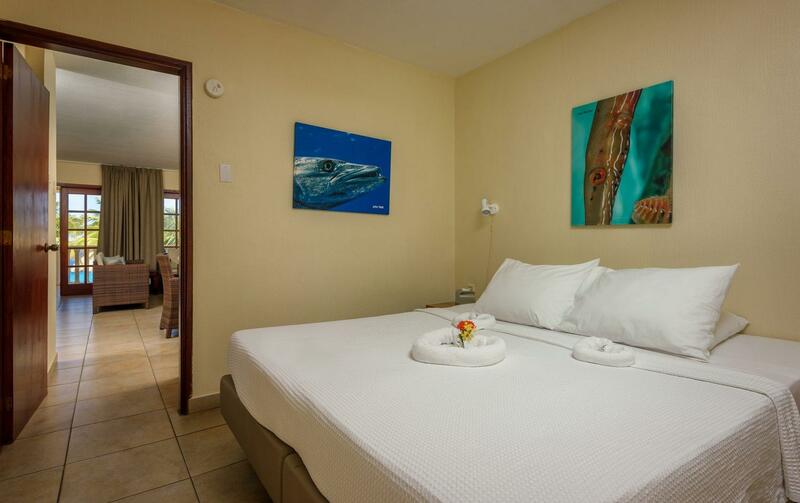 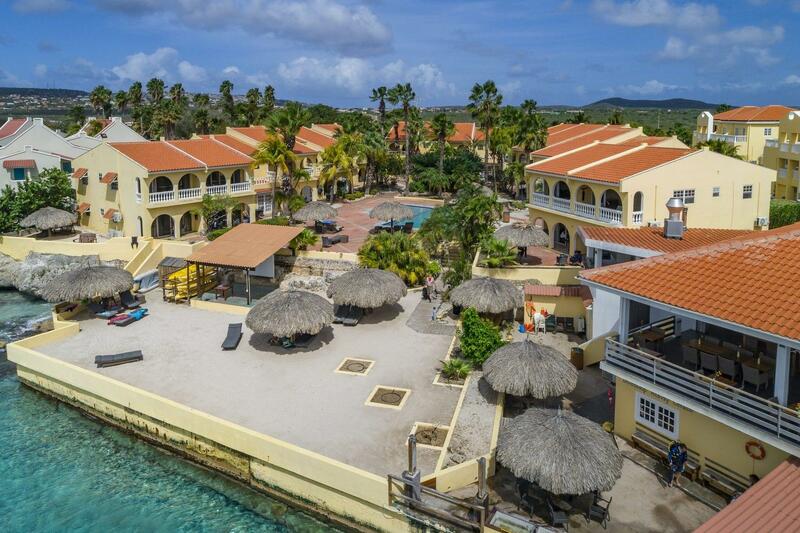 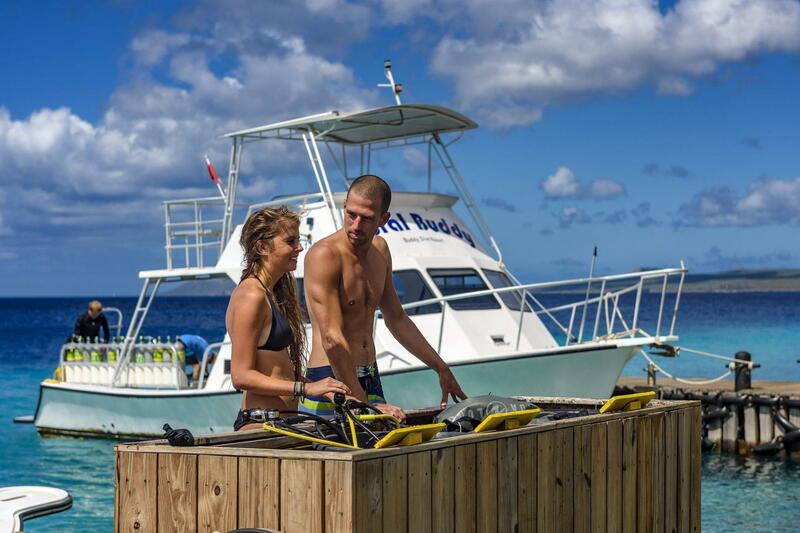 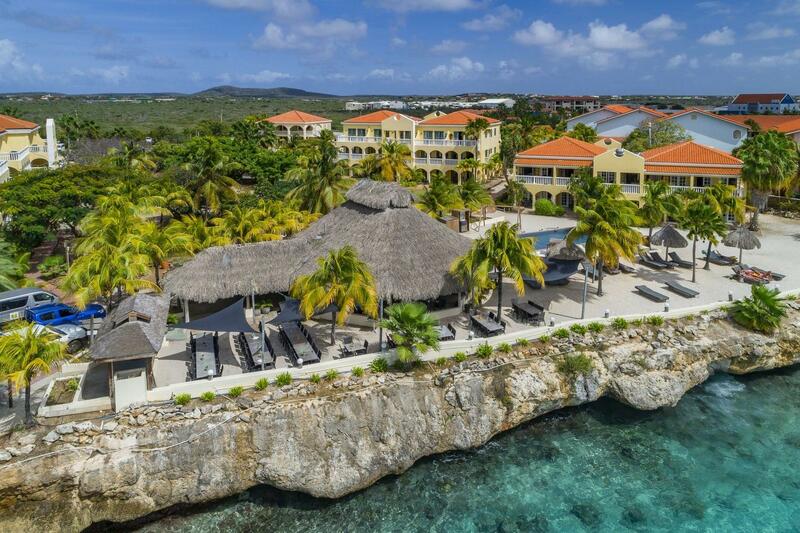 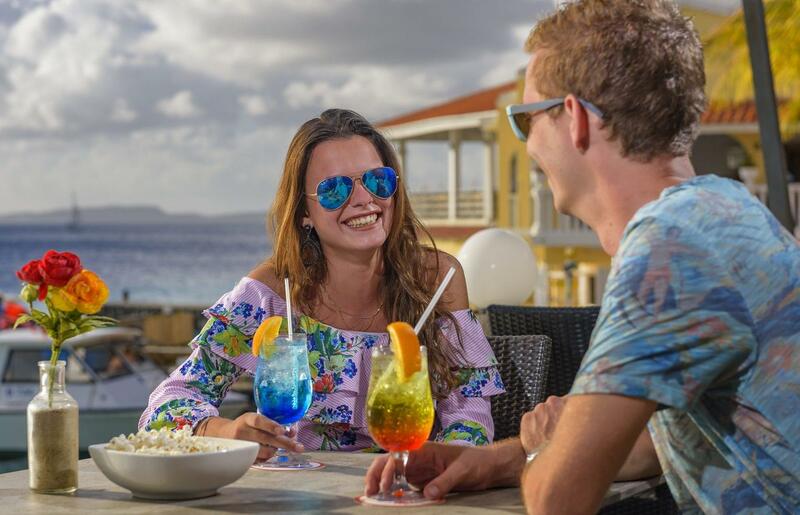 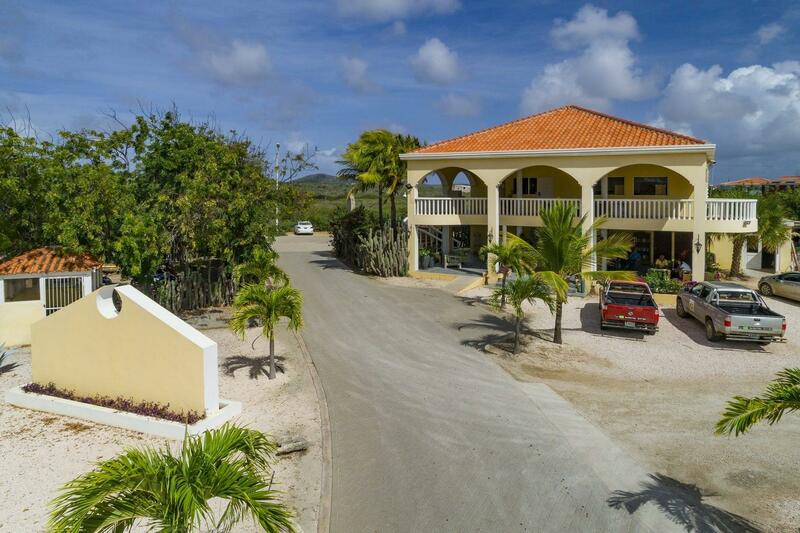 Buddy Dive Resort is a PADI 5* IDC Resort on Bonaire. 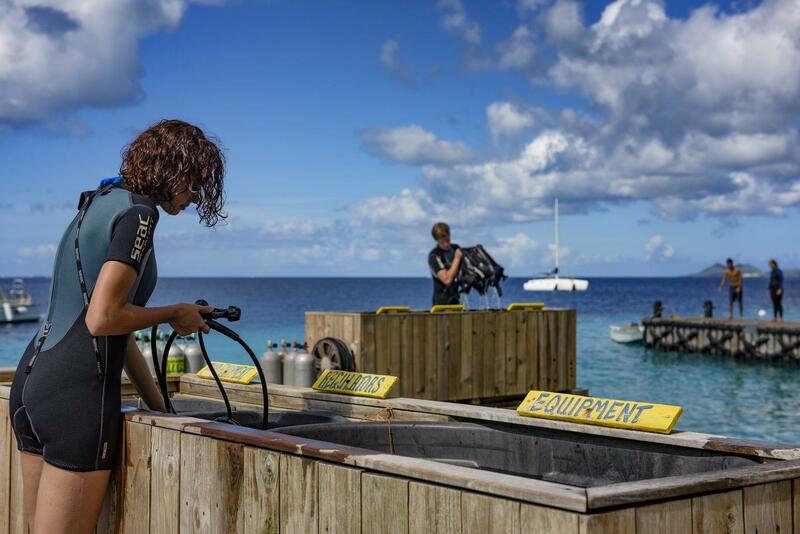 Shore diving from the resort is super-convenient and the house reef is full of coral and tropical marine life. 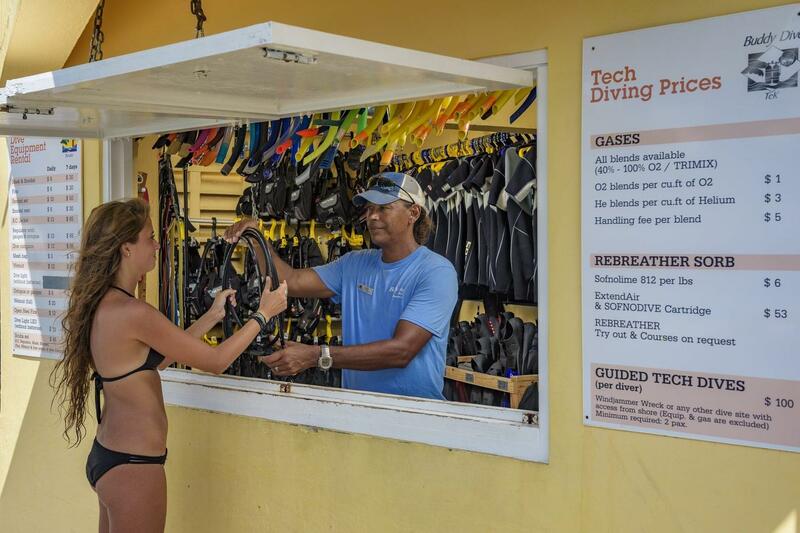 A unique two lane Drive Thru air and nitrox filling station makes it easy to pick up your tanks daily. 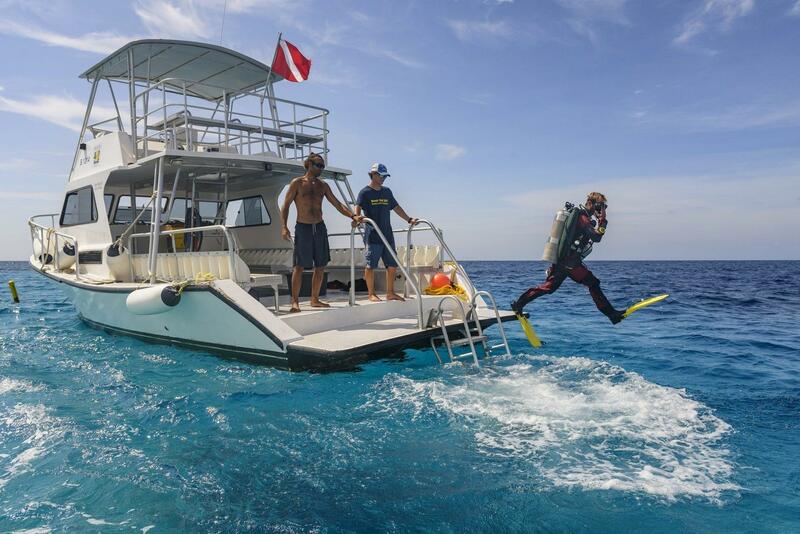 Comfortable dive boats depart three times a day to explore those dive sites not accessible from shore. 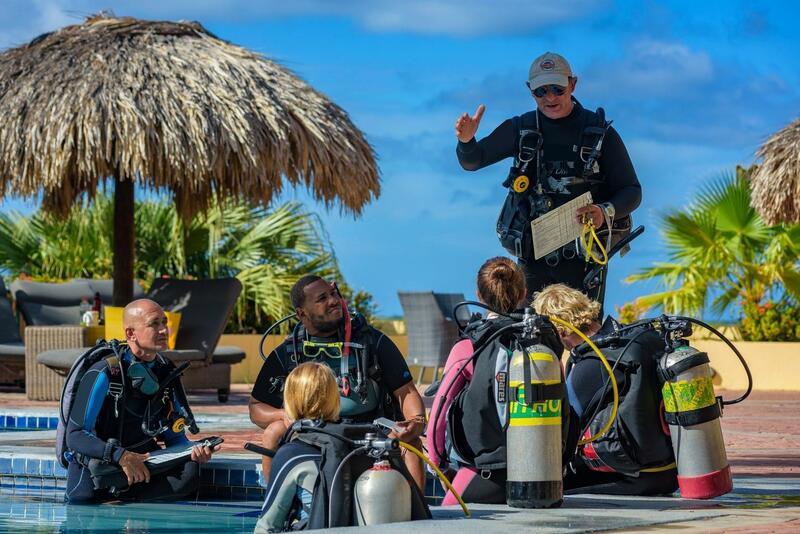 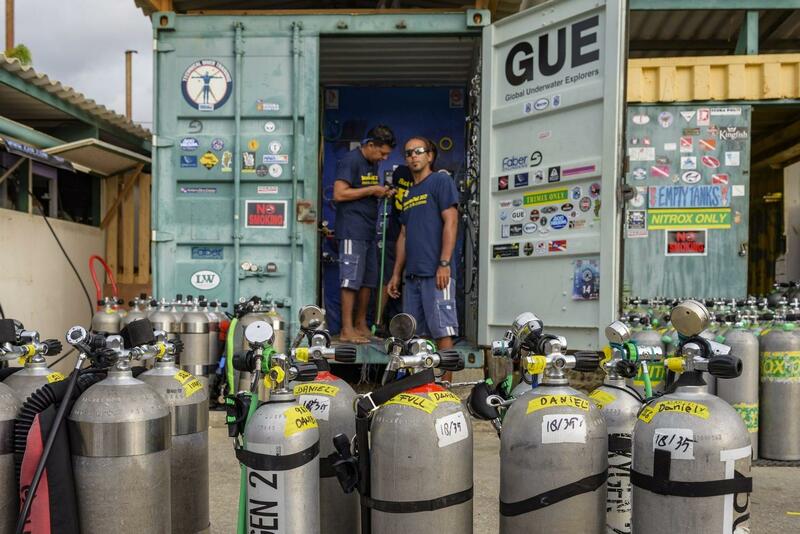 Dive training from discover scuba through to specialities and instructor development courses are available. 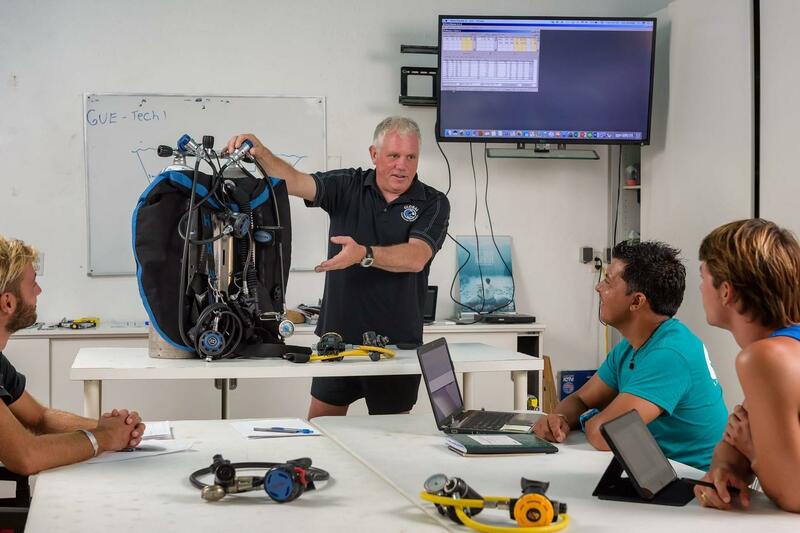 Courses can be delivered in English, Spanish, Dutch and Italian. 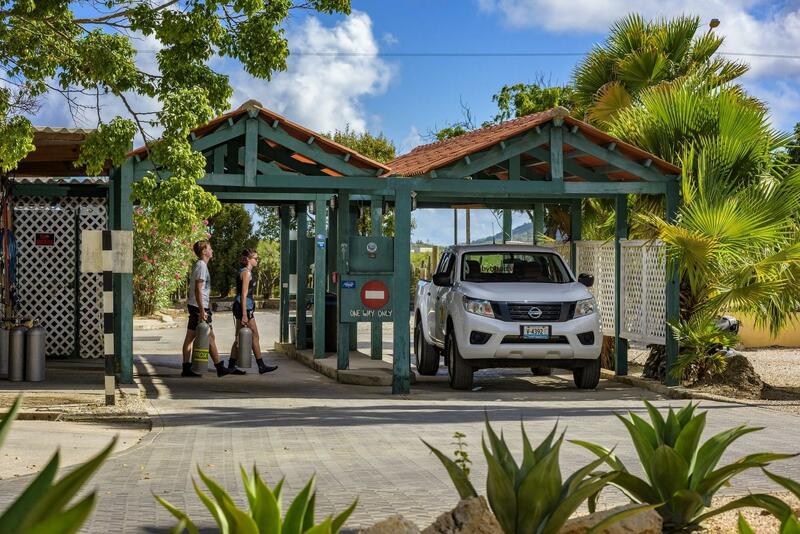 It is worthwhile renting your own vehicle during your stay, and this you can arrange via the resort for an additional fee. 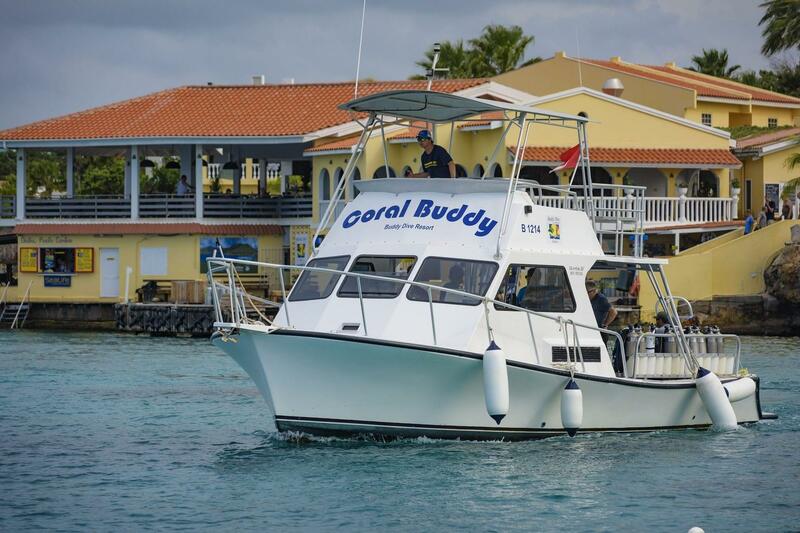 It is important to pre-book a vehicle to ensure availability.